The perfect example of cross cultural communication that exists today is the vast internet yard. People from all walks of life and literally all corners of the Earth communicate everyday through the internet. Racial discrimination is no more than a myth in many social networking sites. Rather, everyone seems to make good friends out of their fellow internet worms, no matter what their skin color and cultural background are. Practically the same thing goes within hospitals employing healthcare professionals from different countries. Hospital is a much complicated world though, wherein miscommunication due to cultural gaps and language barriers no room. There is no room for even a single and simple error as it could practically mean life or death. Vital information need to be discussed and understood clearly by every concerned nurse and doctor. You can probably imagine these people, in their medical scrubs and or lab coats, busy with the needs of their patients, each trying to communicate in the way they know. It is imperative for cross cultural communication to run as smoothly and as understandable as possible, a message needs to be passed across groups with complete and essentially the same meaning. However, due to the cultural differences, this is not always easily done. Each person can have a different understanding of what one tries to convey, depending on what they learned from their own soil. How can cross cultural communication gaps be bridged then? 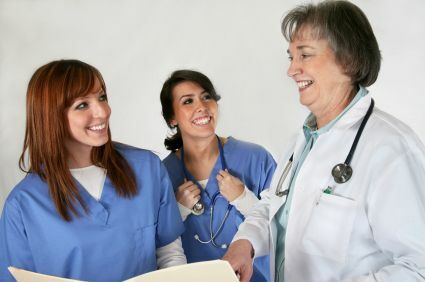 NurseTogether.com recently published Nurses and Cross Cultural Communication, discussing some tips to consider in order to avoid miscommunications. Follow basic words of grammar. Repeat basic ideas without shouting. Even when you try your best to communicate well, using the most basic language possible, you might still find yourself struggling for words to say or end up exactly at the point that you were trying to avoid. That should not hold you from trying. Be patient. Be fast at listening. Be aware of possible misinterpretation. On your part, try not to be easily offended or hastily think other people are being rude to you. Taking some effort to let colleagues know about your culture will help them learn how to communicate with you better. Likewise, spend time to learn theirs. In time, all will be well at passing the message on. Just don’t give up.